As Google constantly amends their ranking algorithms website owners continue to look for creative ways to make their website rank higher and stand out in the serps. But despite Google’s warnings that certain techniques are not allowed we still see a number of black hat techniques in use today. To help you stay on the right side of Google the guys at Red Website Design recently created this infographic. It explains 25 techniques that could land you in hot water and get your site removed from Google’s rankings altogether. First on the list is actually a technique that many of you may already use to build your own blog readership – and that’s guest blogging. Whilst guest blogging is a great way to get your name out there to readers you may not be exposed to otherwise, doing it for the sole purpose of earning do-follow links is strictly prohibited by Google. Make sure when you target blogs you want to work with that you do so for the right reasons. Do they have a relevant reader base? Do they have a large social media following? Are they going to generate traffic to your site that will convert into subscribers? If the answer to any of those is yes then go right ahead. If the answer is no and you’re just after a bunch of links then resist the temptation. Too many links from blogs that aren’t authoritative could lead to what Google sees as an unnatural link profile. 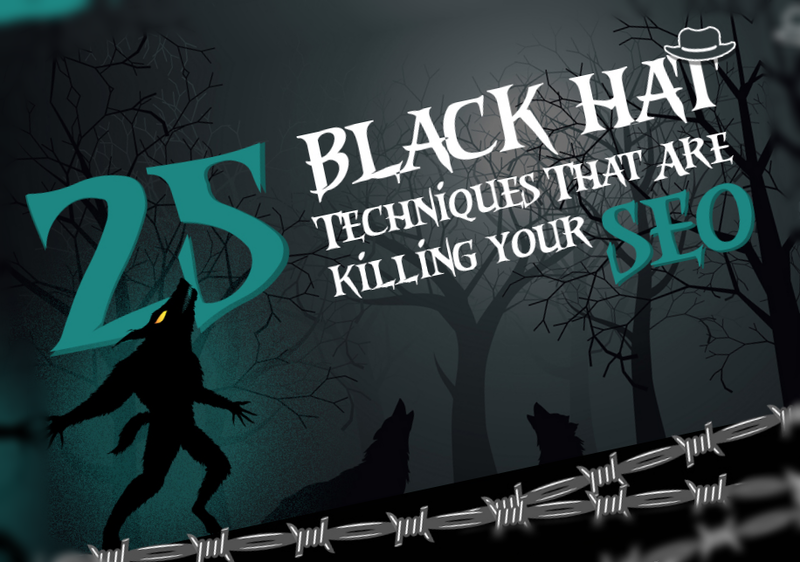 Take a look at the infographic below for more black hat techniques you need to avoid.